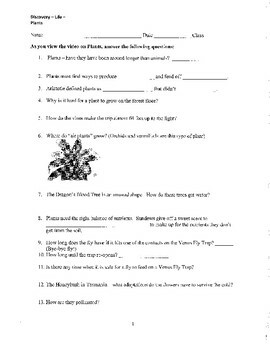 Video Review questions for Discovery Life series, Plants episode. Don't just show students a video, have them follow along and watch for information as they view. I have used this with my HS Botany class. 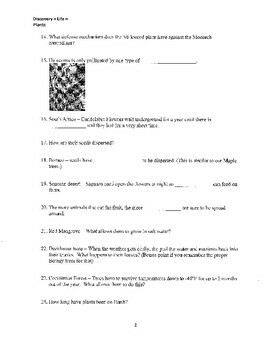 Answer Key will be posted separately.